“But why would we do it? Why would we sacrifice the enchanting beauty of Christianity for the ugly machine of politics? Because political power is so – and there’s no other word for it – pragmatic. We’re convinced “it works.” What could be more simple? Here’s the formula. Just put good people in positions of power and good things will happen. (Such thinking is very close to the wilderness temptation Jesus faced; more on that later.) We are easily seduced by the clear logic of political pragmatism. But we need to remember that God does not save the world through the clear logic of political pragmatism (though Jesus was tempted by the devil, and even by his own disciples, to attempt it). 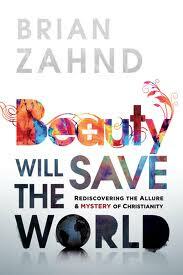 Instead, God saves the world through the ironic and mysterious beauty of the cruciform. This entry was posted in Faith & Religion and tagged Categories, Christianity, Jesus Christ, Religion. Bookmark the permalink.